What is the lifespan of the prowler Owl. The wings are made of a fabric material and should last at least 1 year. The body is made of styrofoam and should also last about 1 year. 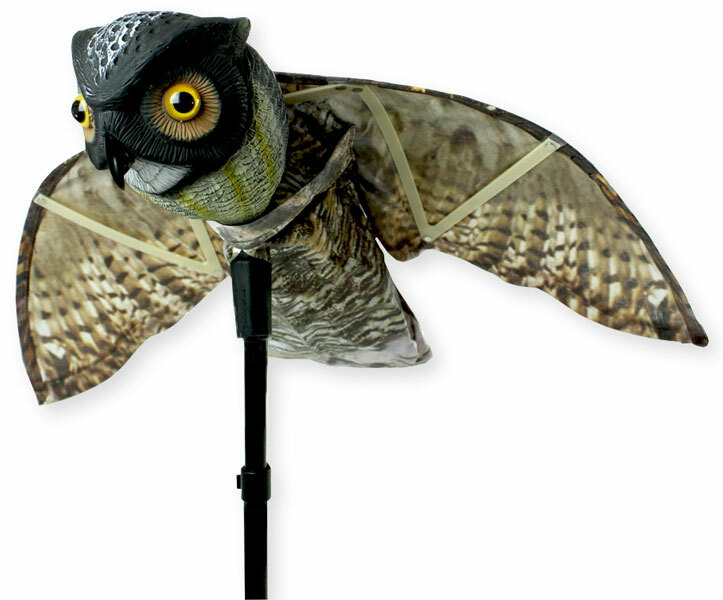 If you want something to last longer, then a plastic owl such as the Garden Plus with Rotating Head should last 2- 3 years or longer. Of course, it is not a menacing as the Prowler Owl either.